Sony Classical proudly announces the release of The Dark Tower (Original Motion Picture Soundtrack) featuring the music of the prolific Dutch composer Tom Holkenborg. The soundtrack will be released digitally on July 28 and on CD on August 4. The movie opens in theaters nationwide on August 4. 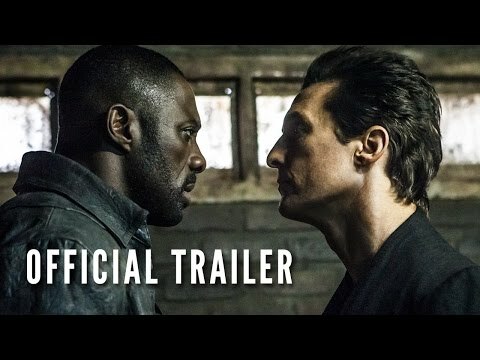 About the film and soundtrack, Tom Holkenborg says: “Dark Tower is an incredible mix of horror, fantasy and western, it inhabits a unique and singular world, human and personal, yet also other, and the score had to try and reflect this. It was a fascinating project to work on, and an honor trying to score the words and imagination of the great Stephen King. Few Hollywood composers have enjoyed as successful and far-reaching a career as Tom Holkenborg. Tom Holkenborg is a Grammy® nominated and multi-platinum producer, musician, and composer whose versatility puts him on the cutting edge of contemporary music, as well as in the vanguard of exciting new film composers. He is able to draw on his extensive knowledge of classical forms and structures while keeping one finger planted firmly on the pulse of popular music. When this eclectic background is paired with his skill as a multi-instrumentalist (he plays keyboards, guitar, drums, violin, and bass) and mastery of studio technology, a portrait emerges of an artist for whom anything is possible. The foundation for Holkenborg’s career started in his native Holland where he created multiple film scores, and undertook mentorships with celebrated composers Harry Gregson-Williams (on Domino and Kingdom of Heaven) and Klaus Badelt (on Catwoman). But things really started to fall into place when Holkenborg started collaborating with Oscar®-winning composer Hans Zimmer. Their partnership lasted several years, and most recently included 2016’s blockbuster Batman v Superman: Dawn of Justice, which marked the seventh scoring collaboration between Holkenborg and Zimmer. Holkenborg worked with Zimmer on The Amazing Spider Man 2, Man of Steel, Dark Knight Rises, Madagascar 3, Megamind, and Inception.